In what may seem like another entry in the long list of superhero movies that keep coming out, the latest release, Deadpool, is as far from a typical superhero movie than you would imagine. 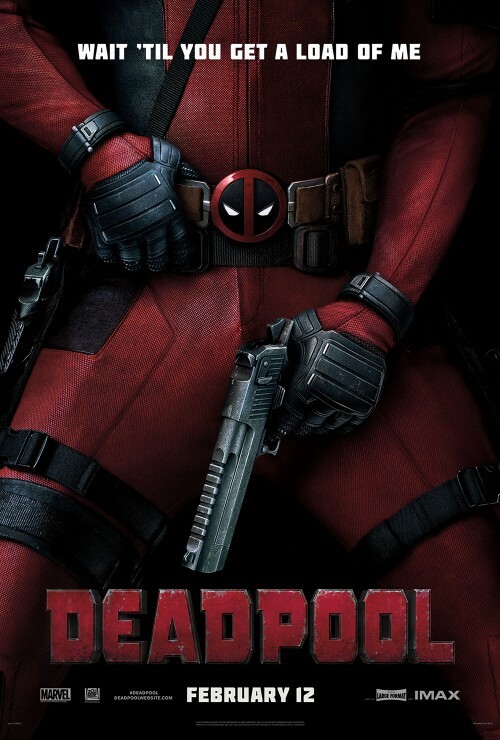 Released on Feb. 12, this film stars Ryan Reynolds at the titular character, which is also a Marvel Comics property. One thing that must be noted is that Deadpool is different from the many films of costumed men in tights. In fact, the reality that it’s unlike the others is what makes it stand out. The film’s plot may seem basic on the surface with Deadpool’s origin story being told and fighting the villains. However, the character of Deadpool is known for being a wisecracking smart aleck who breaks the fourth wall. How that was executed made the film interesting, with Deadpool narrating to the audience about how Wade Wilson transformed into Deadpool. It did not need to go in the route of, say, Superman or Batman and tell the story from the beginning and have it develop into the middle where we finally see the hero in action. Oh no, not in this film, and that was among the elements that separated itself from other superhero flicks. One of the most interesting aspects of this film is that does not take itself seriously and mocks other superhero films. Of course, those aspects were played for laughs. Reynolds actually nailed the role rather well as Deadpool. Some of the funniest instances in this movie involved fourth-wall-breaking, and some of that were shots taken at the X-Men movie franchise, to which this movie is connected. For example, there was one scene where an action figure of the version of Deadpool from X-Men Origins: Wolverine lying around as a way of poking fun at that film. Now I have never seen that film, but I have read that it was not great. For all of its comedic moments, it’s time to talk about the action sequences. While a lot of them were over-the-top, they really went with the overall feel for this movie, especially with some wisecracks made here and there, as that is an essential aspect for the central character. One thing of note is that while this film is based on a comic book superhero (or should I say anti-hero? ), this movie is, in no way, for children of any age. This film is violent and vulgar, just like the character. This movie is rated R for a reason. It would not be the first time that a Marvel character was in a movie that is R-rated. The Punisher and Blade are two good examples of Marvel properties that were made into R-rated films. Overall, this was a nice change of pace in the slew of comic book movies that had come out these past few years. It had all the comedic and action elements that one could ask for in a movie like this. Really neat review. Even though I’m not a Deadpool fan (though I like the X-Men), it sounds like they did a good job making this movie.